Over-The-Door Foldaway Valet, stainless steel. 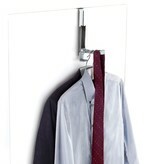 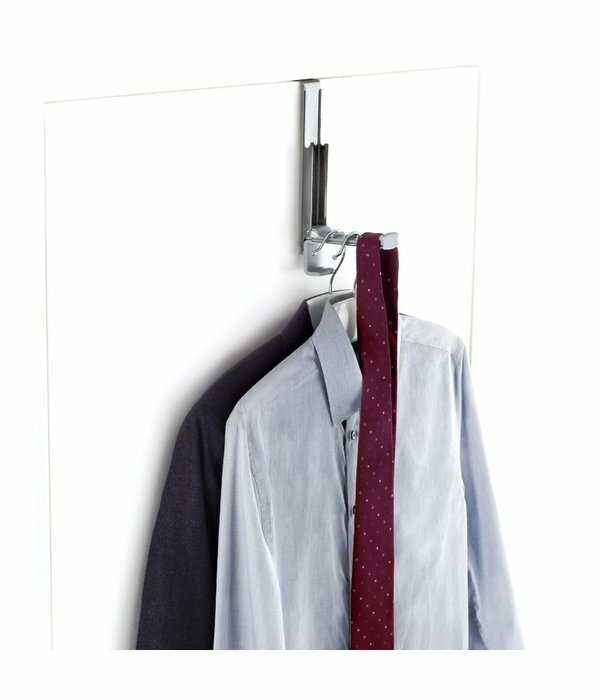 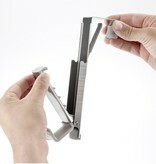 The single hook flips down into a valet to fit multiple hangers and flips back up when you only need one hook. 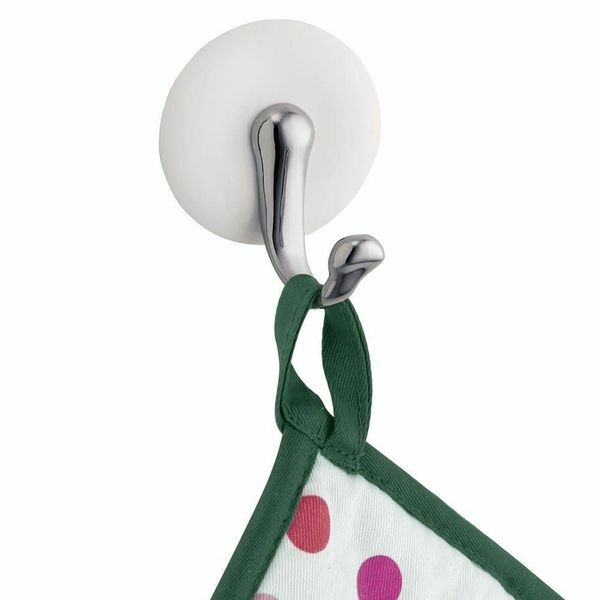 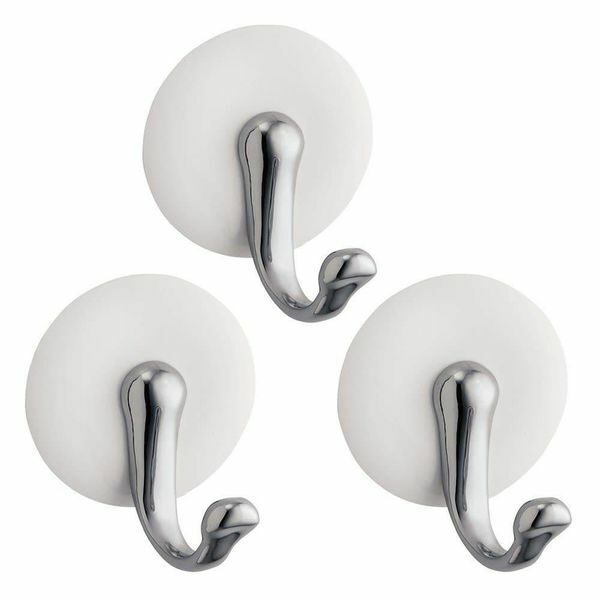 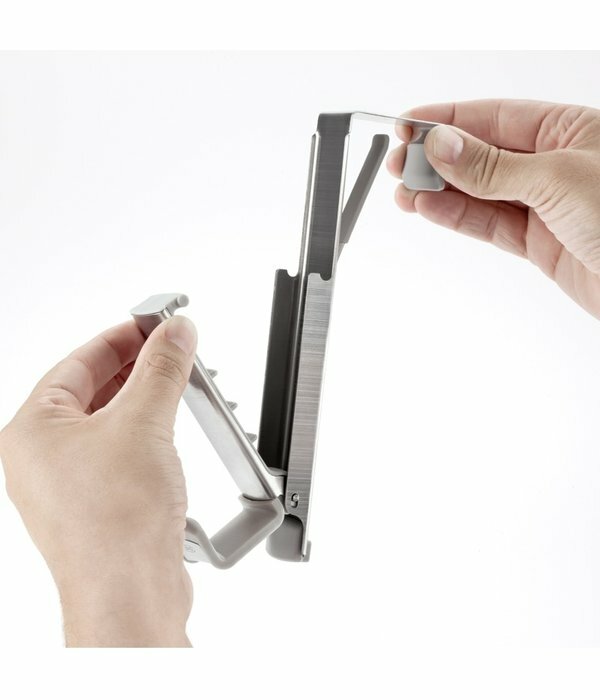 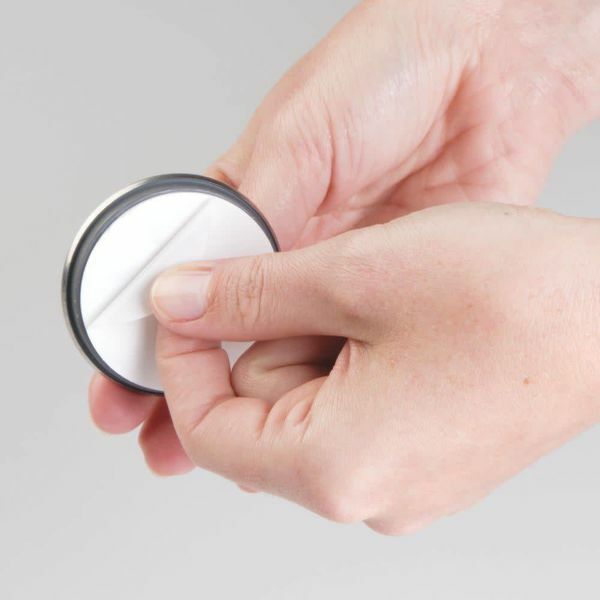 The non-slip hooks grip items securely, making the single hook perfect for bathrobes, towels or jackets. 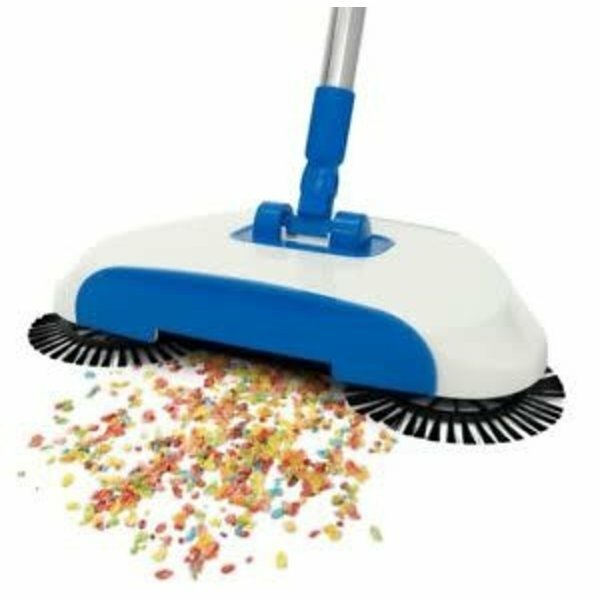 The flexible opening automatically adjusts to all door sizes an d the non-skid surface won't damage your doors. 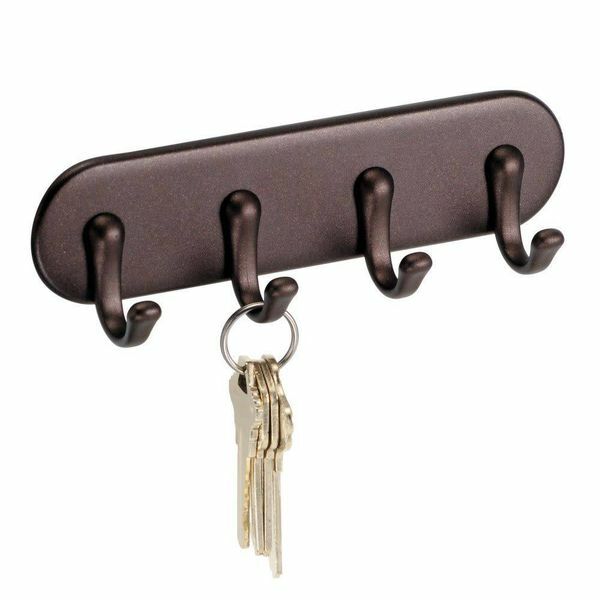 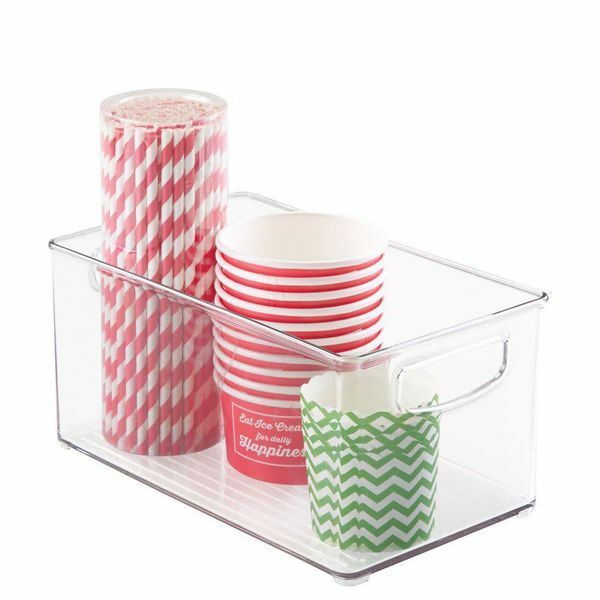 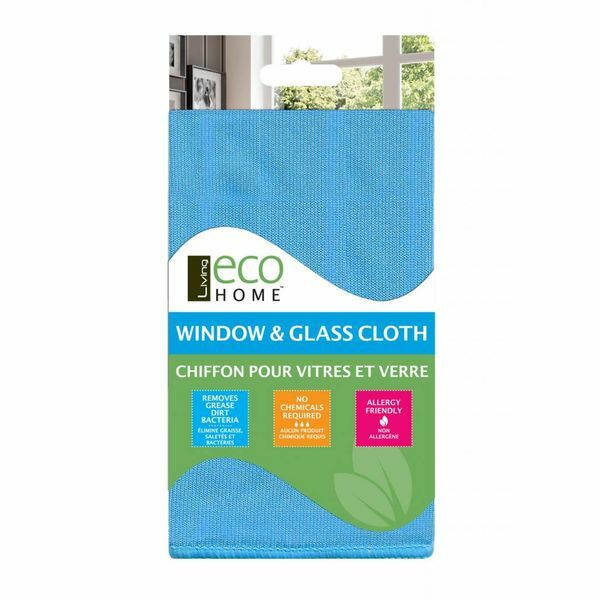 Designed for the bathroom, closet, laundry room, mud room, pantry, dorm and more. 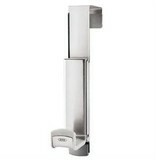 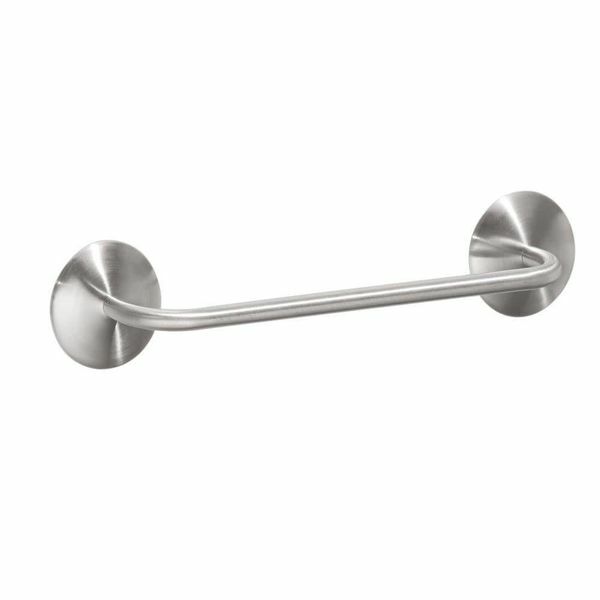 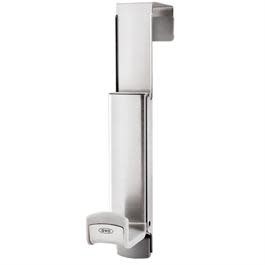 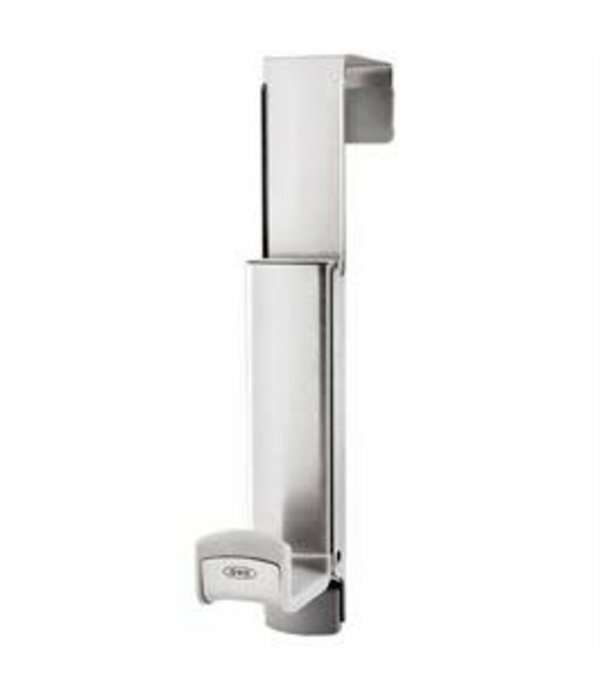 InterDesign Affixx Forma Towel Bar - 11"